Accessible and 508 compliant web-based survey management system. US 508 and DDA compliant. Often organizations are so focused on usability testing that they forget to do accessiblity testing. The consequences of this can be devestating, possibly shutting down access to upward of 25% or more of your user base. 508Surveys.com specializes in making the entire survey experience as easy and simple as possible for all audiences. Our web-based survey management software is easy to use, and 100% US Section 508, DDA and WAI AAA compliant and in our opinion, meets the WAI-AAA accessibility checklist for both taking AND CREATING surveys!. No other online survey management system can make such a claim! Years of experience in web design, and user interface make creating a survey a simple, intuitive process. No longer will you be scowering through documentation to figure out how to add a question to your survey. 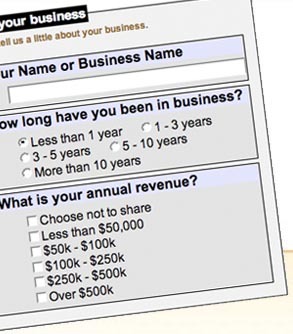 A survey created at 508Surveys.com can easily be added to any website. Whether you're using linux VPS, or other hosting plans, creating a survey online, and adding it to your site is a snap. If you don't have a website and you're not sure what hosting is best for you, check out the BYU site for more information on linux virtual private server hosting. Prices start at $1.95 / month for 10 surveys, and go up to $9.95 / month for unlimited surveys! No limits on responses either! Checkout our new lower pricing options below! Text Link Ads script error: /home/survey_user/www/508surveys.com/includes/ad_files/local_353298.xml does not exist. Please create a blank file named /home/survey_user/www/508surveys.com/includes/ad_files/local_353298.xml.